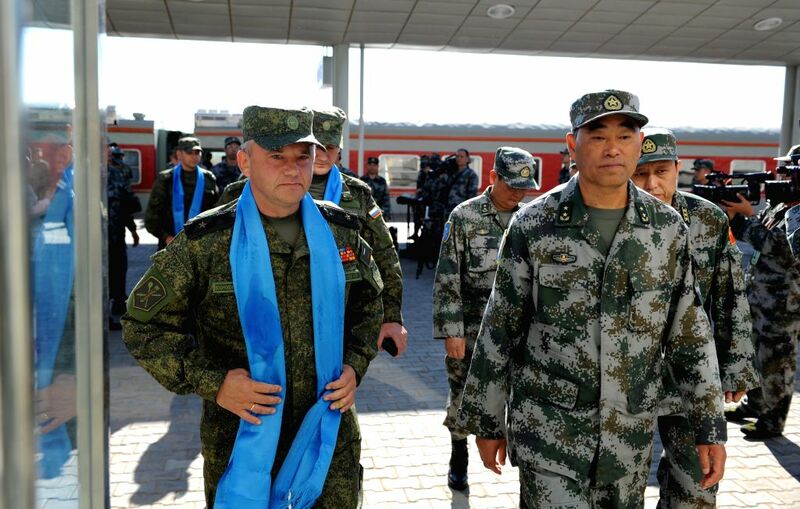 ZHURIHE, Aug. 16, 2014 - Commanders from Russia and China are seen at the railway station of Zhurihe training base, north China's Inner Mongolia Autonomous Region, Aug. 16, 2014. The first Russian army echelon on Saturday arrived at the Zhurihe training base, where "Peace Mission-2014," a drill under the Shanghai Cooperation Organization (SCO) framework, will run from Aug. 24-29. The drill, which will involve over 7,000 personnel from China, Russia, Kazakhstan, Kyrgyzstan and Tajikistan, is expected to hone multilateral decision-making, sharpen joint anti-terror efforts and boost intelligence sharing to ensure regional peace and stability. Russian soldiers arrive at the train station of the Zhurihe training base, north China's Inner Mongolia Autonomous Region, Aug. 16, 2014. 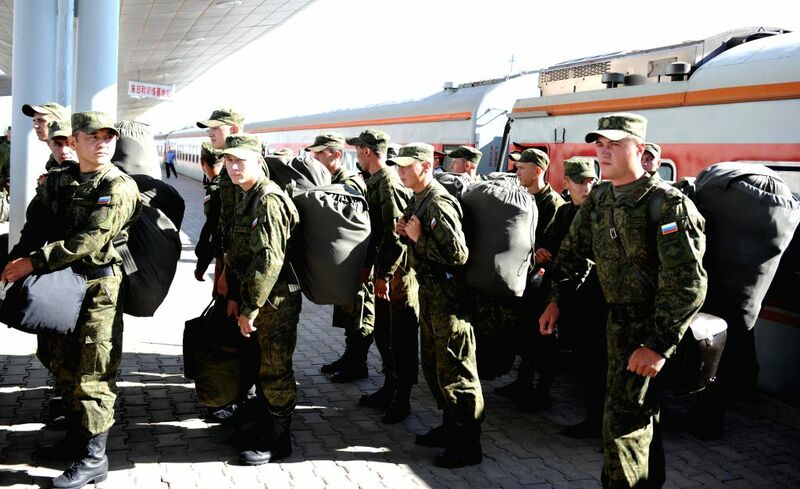 Russian soldiers are welcomed as they arrive at the train station of the Zhurihe training base, north China's Inner Mongolia Autonomous Region, Aug. 16, 2014.